-Hiring c.6,000 new employees to support network deployment and customer service. For further information on BT’s performance over the last financial year, please see BT Group’s full year financial results, also released today. Putting the customer at the centre of everything BT does will enable differentiation through converged products and service quality and a focus on customer retention. The launch of new converged product offerings will support customer retention, increase loyalty, and improve economic returns. For example, in the Consumer business, BT will launch converged fixed and mobile products, and make better use of customer data and digital channels for more targeted and personalised marketing complemented by our nationwide retail footprint enabling a local, and personal, service. 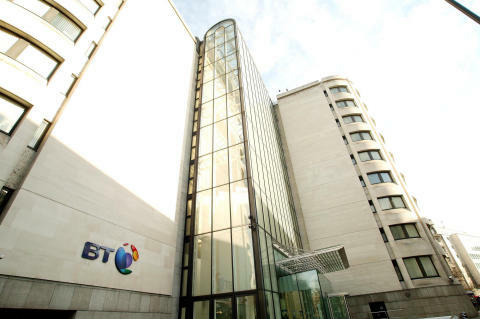 In its Enterprise segment, BT will create new revenue streams alongside existing offerings, such as driving take-up of Voice over IP, networking and unified communications, and leveraging its leading security proposition. BT will also create new revenue streams in selected adjacency offerings to add new high-margin revenues. For example, by leveraging our leading security proposition and utilising the Internet of Things where we have transformed our own business to reduce costs and the environmental impact of our operations. 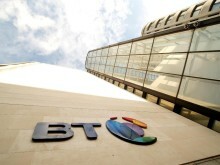 To deliver differentiated customer experiences, BT will continue to invest in integrated network leadership. The company aims to have a single integrated all-IP fibre network that enables seamless converged access across fixed, WiFi, and mobile, whilst maintaining capital expenditure discipline within an annual allocation of around £3.7 billion over the next two years. In fixed, Openreach is taking a ‘Fibre First’ approach that positions the business to deliver, economically, at scale and pace, 10 million fibre-to-the-premises, FTTP, by the mid-2020’s, while in mobile, BT will continue to build 4G to 95% geographic coverage by 2020 and intends to lead the market in 5G. The next phase of BT’s transformation coincides with changes in the telecoms market with exponential growth in data consumption and network capacity requirements and increasing competitive intensity from established companies and new entrants. At the same time, recent regulatory outcomes have meant that the return on capital in Openreach is moving closer to its allowed return, and a new round of investment has started across fixed and mobile infrastructure. Deliver deeper penetration of digitalisation to improve customer experience and costs to serve. c.6,000 new hires to support network deployment and customer service.